A federal judge ordered the Border Patrol to immediately cease its practice of refusing to provide basic amenities to people detained in Border Patrol holding cells in Tucson, Arizona. The judge cited evidence that shows that detainees are kept in freezing holding cells—often called “hieleras” or “iceboxes” —for days without any access to showers or basic hygiene and are forced to sleep on cold concrete floors with only a thin Mylar sheet. On November 18, Judge David C. Bury ordered the Border Patrol to immediately begin providing any detainee held for more than 12 hours with a mattress, as well as the opportunity to clean themselves, among other things. The preliminary injunction order came in the class action Doe v. Johnson, which was filed in 2015 by immigrant rights groups, including the American Immigration Council, on behalf of all individuals detained within the Border Patrol’s Tucson Sector, which includes most of Arizona. The order follows the judge’s decision in August to unseal video stills which depict the deplorable conditions. In his order, the judge noted that these individuals are all civil detainees who have not been charged with any crime. 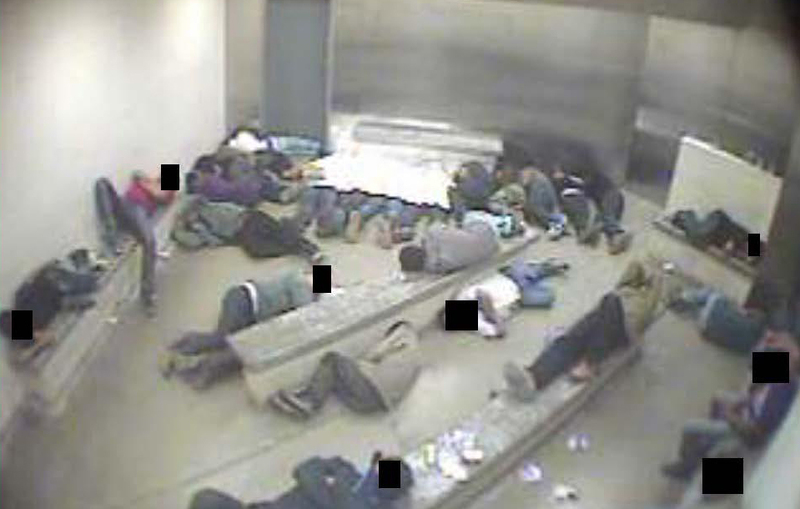 Contrasting the conditions with criminal defendants held at local jails, the judge noted that a key witness for the Border Patrol admitted that conditions in the hold rooms were worse than conditions in local jails. Finally, the judge found that the Border Patrol was not adequately screening individuals for medical problems, which plaintiffs had argued was dangerous because many individuals held in Border Patrol custody have recently crossed the border “under extreme physical hardship, lacking in water and food, without access to medication and medical supplies.” The judge also found that the Border Patrol was not even meeting its own standards for medical screening. The Court ordered the Border Patrol to not only improve their procedures but also ensure that uniform standards of medical screening and care were adopted across the Tucson Sector. Now that the judge has granted the preliminary injunction, the Border Patrol must begin implementing the order. In the meantime, as the case proceeds to trial, immigrants detained in the Tucson sector will have far more protection against the violation of their rights.